Freezer to slow cooker meals are simply the best kind of meals. Save yourself some time in the kitchen with these simple freezer to slow cooker meals! It truly doesn’t get any easier, especially when dinner is cooking on it’s own all day while you get everything else done in your busy day! 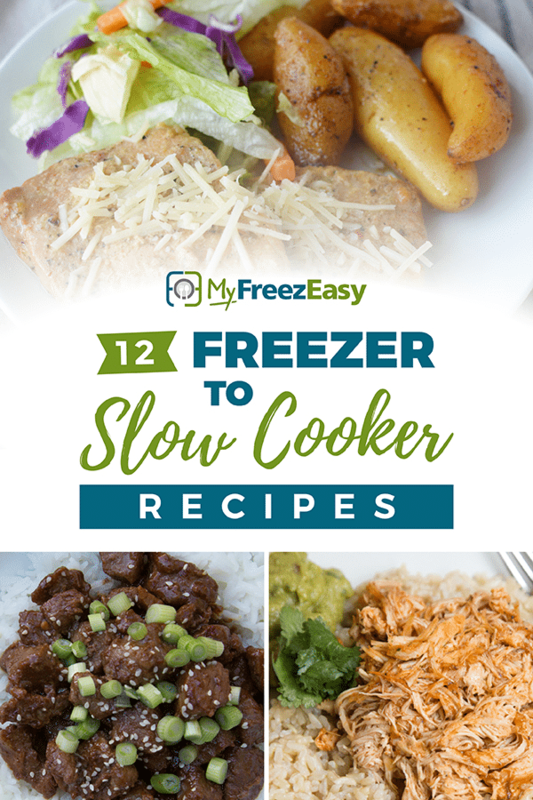 If you are interested in getting TEN Slow Cooker recipes into your freezer in an hour, MyFreezEasy can help you make that happen! And happy Freezer to Slow Cooking! !